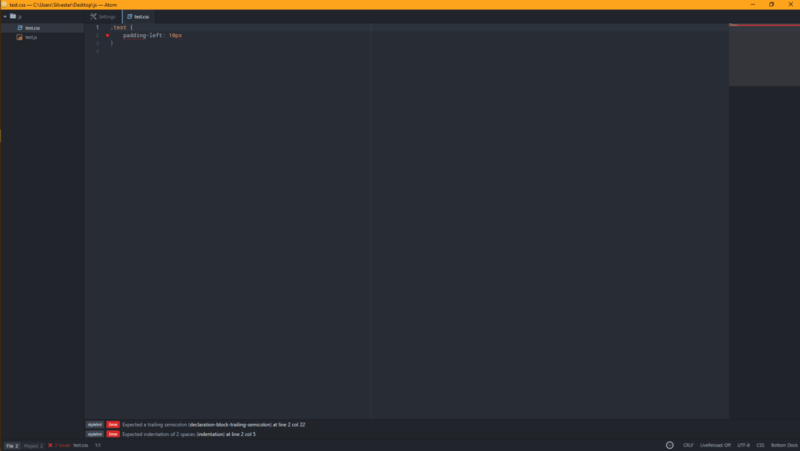 Linter is a program which analyses your code during coding process. That’s where linter could help you save precious time. linter works while you’re typing and checks if there are any syntax errors. Let’s look at example from previous section. If you forget to put semicolon at the end of a line, linter will immediately show you the error. It will save you a lot of time. Not only that, it will force you to write code more carefully. 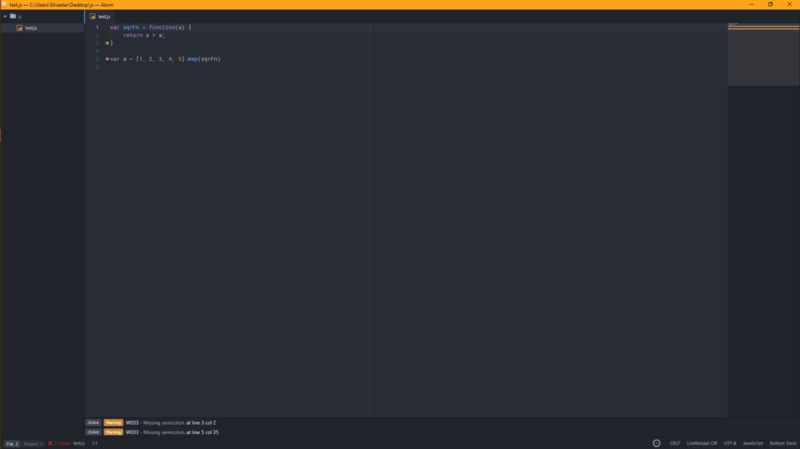 You could use linter inside Atom. Go ahead and install it from Atom package manager. After that, open linter package settings. There are plenty of options. I encourage you to take your time to understand each one them. 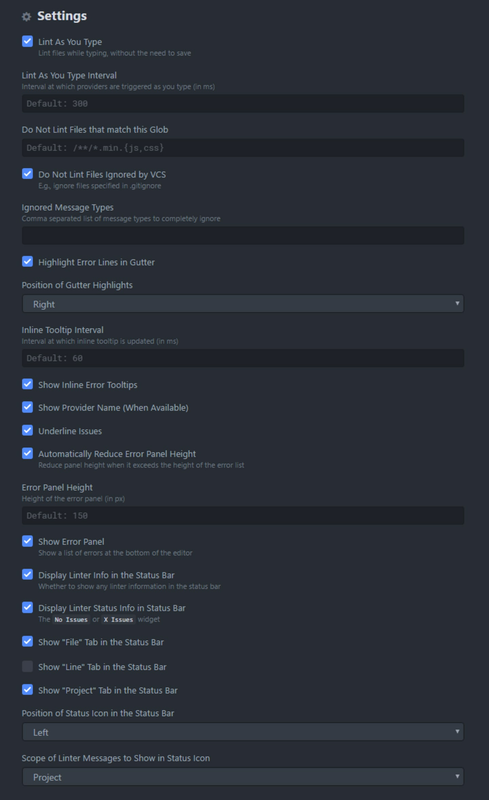 This settings should turn on linter errors in Atom, so you could fix the problems more easily. You could see CSS lint errors by opening and CSS file. This depends on your main linter settings, but you should see at least on of them. To see errors in a minimap, you should install minimap-linter package. You could learn more about minimap packages here. You could use more advanced configuration options for each linters which are out of scope for this article. 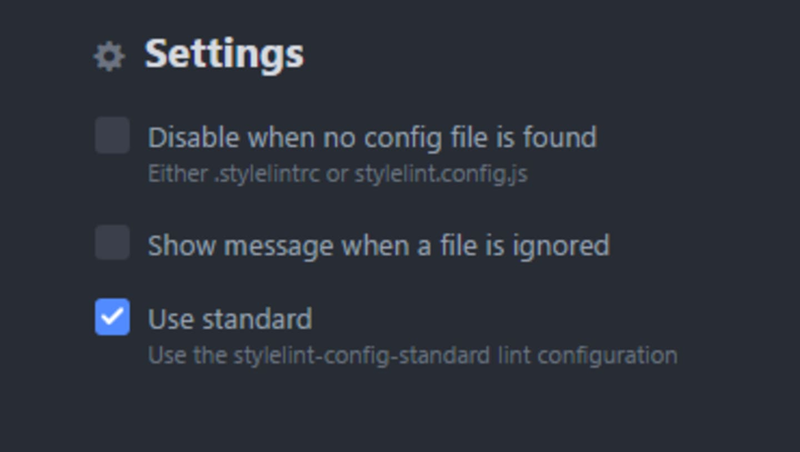 I encourage you to read full documentation for both stylelint and jshint, as they could be really useful for you. Linters are very useful and simple solution for basic syntax checking. Linters will not only save you time, but will also make you write better code. Are you using linters? Which one are your favorite? Follow me on Twitter and Medium.